Let's talk a little bit about the flying saucer, shall we? This is one of the vehicles available to the Martians in Mars Attacks! I got mine from the kickstarter but I guess that in the upcoming months you will be able to find it in your local store too. This is a strange model, it looks more like a toy well done than a proper wargame model. The plastic is quite light and I think this is the first time I see something similar from mantic. 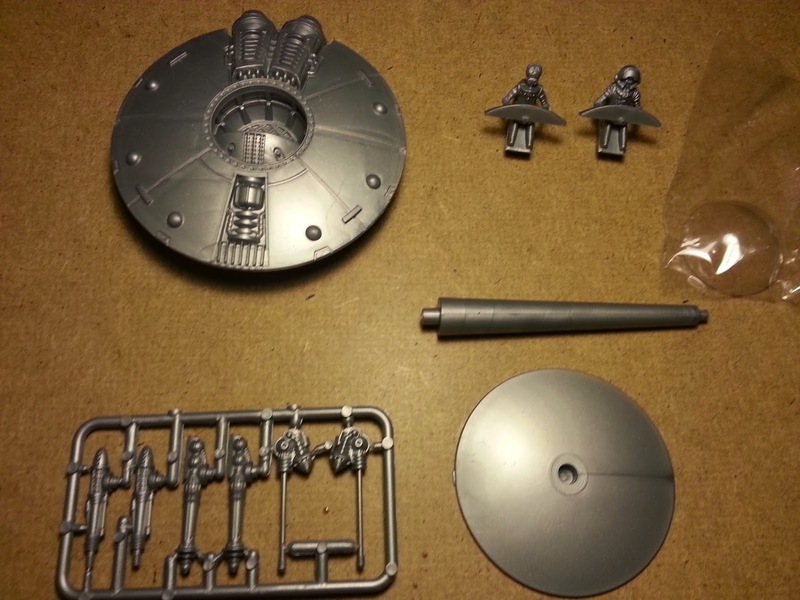 The giant robot is using the same material, the plastic is coloured with a grey/metal shade and most of the pieces are not attached to a sprue.